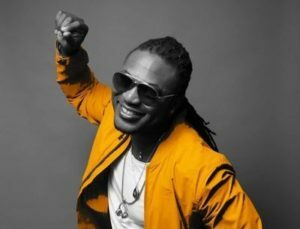 Popular Ghanaian musician, Prince Bright of Buk Bak fame has revealed on the Away Bus Show on Rainbow Radio 87.7Fm that he will remake the popular hit song ‘’Kolom’’. The duo including the late Ronnie Coaches composed ‘’Kolom and other amazing tacks during their days as group until the passing of Ronnie Coaches. He told host Prince Kwesi Dadzie aka Mr Handsome that his late colleague’s death left him shattered and depressed because they worked so hard as a duo and entertained Ghanaians over the years they worked together. He said his music career was brought to a halt because of the death of Ronnie Coaches. He said the song was a great one and he personally loved it hence the decision to remake it. The song travelled across Europe and other parts of world and ‘’I am planning to remix the song,” he added. When asked about the influx of technology and the effect on the traditional form of using cassette and promotion, Bright said, there are both negative and positive effects. Prince has released two singles as a single artiste. The songs are ‘Pioto Photo’ produced by Jay Q and ‘small Thing’ produced by Boss Beatz.